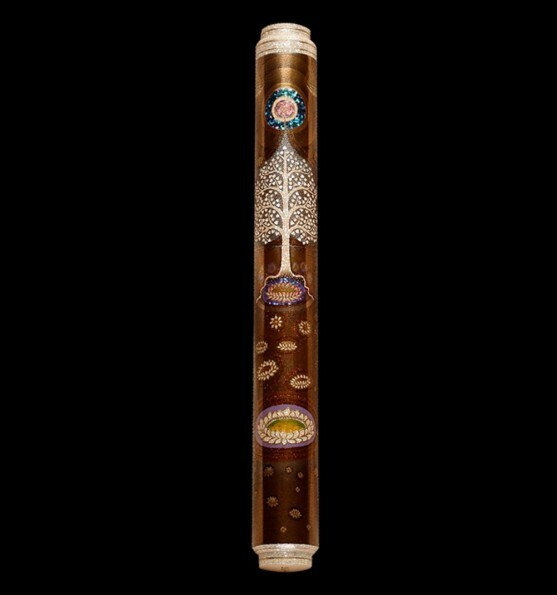 AP Limited Editions honors the divine journey of the soul to its highest expression in an absolutely stunning, breathtakingly beautiful, intricate and noteworthy level of Maki-e Art ever achieved in THE TREE OF LIFE. THE TREE OF LIFE is a mystical symbol in many cultures across the world. The hidden meaning of life and evolution of the soul is intricately woven into the roots, trunk and branches of a tree as it stretches outwards to the Great Void, while rooting itself inwards, deep inside the soul of Mother Earth. This exemplary Maki-e depiction of the Buddhist Tree Of Life, authored by Master Maki-e Shi Kosetsu San traces the journey of an ordinary soul on the path to discovering and achieving the divine state of the Great Buddha. Buddhism believes in the enormous potential vested in human life. THE TREE OF LIFE is the Enlightened state of the Buddha – the One who has crossed all the inner and outer realms of existence, is firmly rooted in one’s Soul and has achieved its highest state of knowledge and experience.